Take a stroll through Greg’s most recent solo and two person shows at the Waterstone Gallery. Gallery photo credits to Kamala Kingsley Photography. 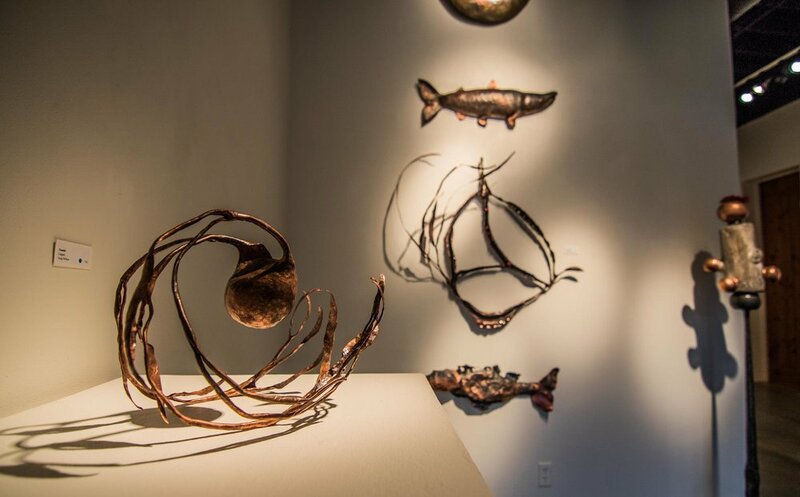 Metalsmith Greg Wilbur is a metal raiser. He hammers sculpture forms from flat sheets of non-ferrous metals. He has done so for 40 years, 30 of those years in Portland. Greg is an enthuasiastic local organizer for the 2018 SNAG Conference. Visit with him and enjoy his work at these events throughout May. 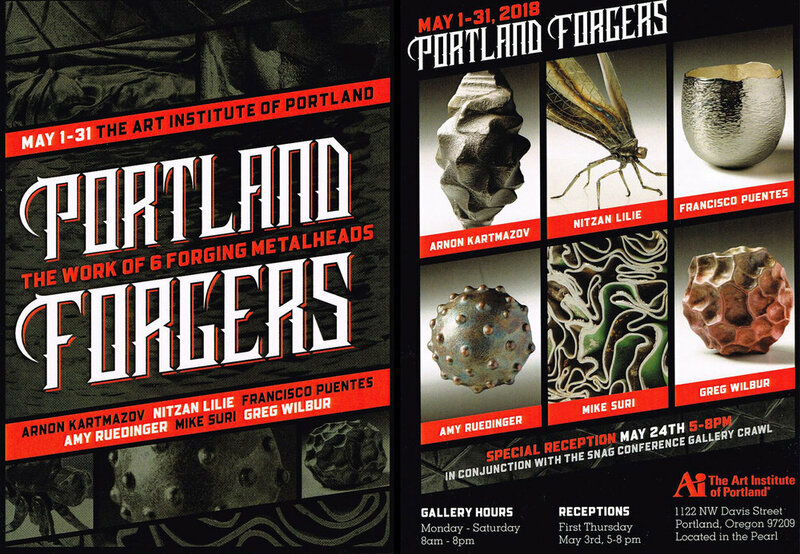 The work of six forging metalheads, in conjunction with the Snag Conference and Gallery Crawl. 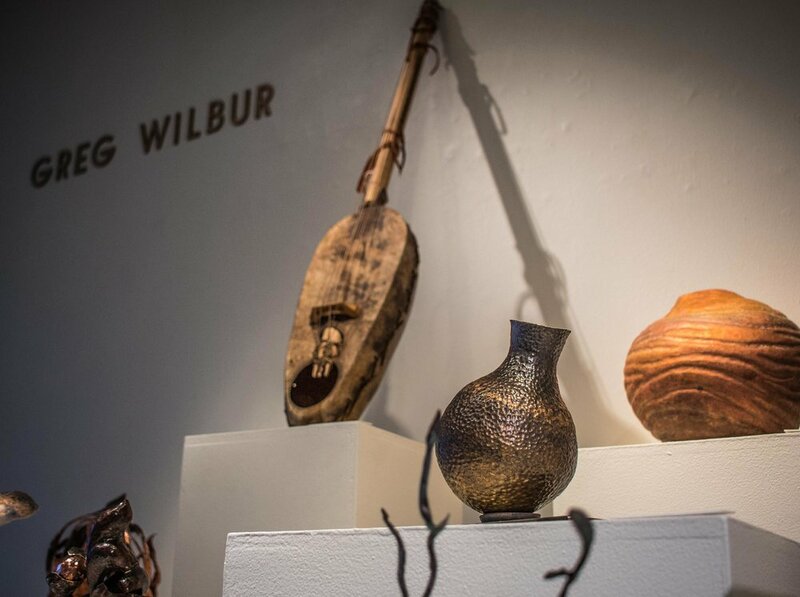 Metalsmith Greg Wilbur is a metal raiser. He hammers sculpture forms from flat sheets of non-ferrous metals. He has done so for 40 years, 30 of those years in Portland. He offers some of what he thinks is his best-unsold work for the SNAG conference.